Rather than having to unlock all of your files manually, you can simply turn off automatic unlocking of files in System Preferences (not a big surprise, I suppose). 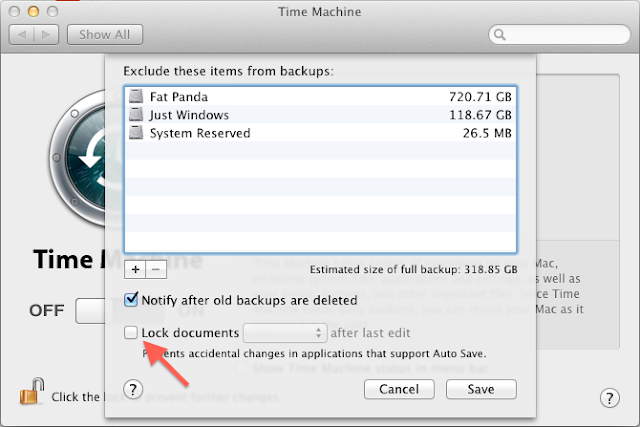 Open the System Preferences, go to Time Machine preferences, and uncheck "Lock documents ___ after last edit". That's all there is to it. File unlocking is supposedly designed to prevent accidental auto saves, but if you're intentionally trying to save a lot of locked files, it can get really tedious (for example, if you're attempting my workaround for stretched Hackintosh bootscreens).